Looking for a Forex Trading App? Not an easy mission, since the market is flooded with mediocre forex trading apps. We have done the research, and in this article, we will list the best Forex Trading Apps UK. The days of limited, lagging, and frustrating mobile trading are long gone. In fact, trading apps are now an integral part of every trading companies arsenal. Today, every firm that wants to be taken seriously needs to offer a great forex trading app, otherwise, they will be overseen and quickly forgotten. 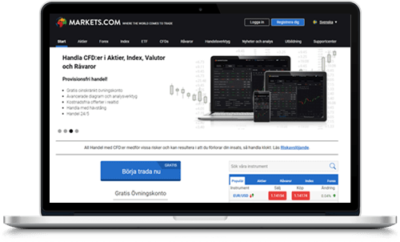 BullMarketz.com provides detailed and constantly updated reviews that help people from all over the world find reliable online trading services. All of our recommendations are based on rigorous testing done by a team of professionals and are guaranteed to be unbiased and neutral at all times. Your capital will be at risk when using any of the recommended products on this page. Never invest money you can’t afford to lose. Using a high leverage can result in big losses. Between 65-89% of retail investors lose money when trading contracts for difference (CFD). Bullmarketz may be compensated by some of the products listed on our website. Below is a list of the best forex apps based on our experience as traders as well as the many hours we’ve spent reviewing and testing different software. In addition, we have searched in forums and read other everyday users opinions to try and paint a picture of what others think as well, and in this case, they agree with us. You can click any of the provided links to get more information and to be redirected to our full reviews and the app sign up page. 1. Markets.com – A Simple Forex Trading App with a ton of Forex pairs. Markets.com is constantly found in the top of our lists, and for good reason. When it comes to forex trading app, they are performing very well. This is to be expected from one of the best forex brokers on the market. What makes their app stand out is its simplicity and the amount of available currency pairs. If you are interested we suggest that you set up a free demo account. 2. IG Markets – Fits advanced traders. 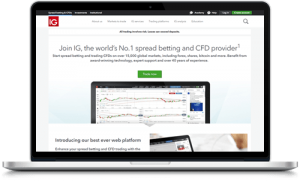 IG Markets is a top forex app based in London and also one of the most experienced forex trading apps in the industry. When it comes to forex trading on your mobile device, IG Market has a state of the art trading app, and even though IG Markets works with MetaTrader 4, they’ve decided to develop their own forex trading app. And let us not forget that IG Markets provides spread betting on the forex market which means you can trade tax-free using the IG Markets app. 3. eToro – The Best Forex Trading App UK. 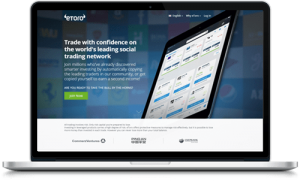 eToro is the only established social trading network and the leading copy trading app in the forex sphere. The reason why they are so established and popular is that they work hard on developing stable and easy to use software that allows traders to interact with and copy others. A while back eToro went through an extensive facelift, and they managed to make their already industry-leading forex copy trading app even better. The reason we decided to include Trade.com as one of the best forex apps for mobile trading has to do with the fact that they’re still offering two platforms. Their main forex trading app is the MetaTrader 4 which was designed to be an industry leader within the forex market. 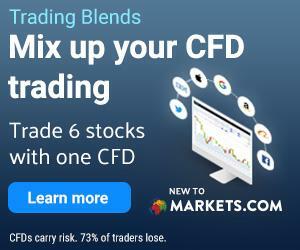 However, Trade.com also offers access to the MetaTrader 5 which is a CFD trading platform with some forex support. In other words, Trade.com is a top forex trading app for people that like to trade more than just forex. 5. 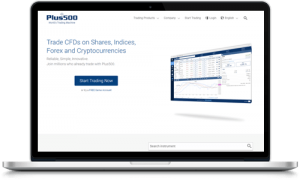 Plus500 – A very simple Forex App. Plus500 is one of the Best Forex Trading App UK and possibly the best app on the UK market, period. They’ve definitely managed to develop one of the top trading apps, and that is an impressive feat on its own. The app was developed by Plus500’s own team and is both sleek and very easy to use. 6. AvaTrade – Several differnt Forex Apps avalible. AvaTrade has made a name for themselves as one of the leading software developers around. In addition to having five trading platforms for desktop users, AvaTrade also offers a forex trading app called AvaTradeGo, and it’s one of the most advanced mobile trading apps on the market right now. Note that your AvaTrade account also gives you access to download the MetaTrader 4 mobile app. Is Avatrade the best forex trading app in the United Kingdom? They are definitely on our top 5 list at least. Android or iPhone user? No problem, we also listed the best forex trading apps based on what device you use. Looking for the best forex trading app the UK? This is one of the most comprehensive articles available on trading apps available in the United Kingdom. For every year that passes, the software we rely on for our trading goes through major developments and lately, nothing has been developing as fast as the forex trading apps. It’s a tool that all trading companies have offered for years, but up until recently, it wasn’t very important since the technology wasn’t good enough to excite anyone. But the technology has now caught up, and the best forex trading apps are now much better than anyone could have ever expected. For example, a good forex app lets you not only oversee and follow your open positions but they let you open and close new positions freely and they can even be used for analytic work with optimized mobile charting tools. In other words, you can handle every part of your portfolio directly on a tablet or a smartphone. Since the industry has become so prominent, it’s become increasingly more important to make sure that you use the best trading app available, which is why this list was created in the first place. We have spent long days and even longer nights testing and evaluating trading apps from hundreds of forex apps and have managed to slim down the list to the five best forex trading apps in the UK. You can find the complete list further down on this page, but first a few background facts. Some of the best forex trading apps in the world have been developed by third-party companies that offer their software to several forex trading apps. Many forex traders prefer these apps since they can switch app without having to adapt to a new software. When it comes to the best forex trading apps, the MetaTrader 4 trading app is the best in the world. The MetaTrader 4 is a world-renowned forex trading app developed by MetaQutoes. Unlike some other trading apps, it’s completely free, but that doesn’t mean it’s limiting. In fact, the MT4 has all the features you could ever wish for and then some. And if the offered features aren’t enough, you can download and even develop your own personal add-ons and plugins and integrate them with the platform to personalize the experience. offer the MetaTrader 4, and you can read more about them further down on this page. To learn more about the MetaTrader 4, we suggest you check out our MT4 guide. A forex app can also decide to develop their own trading platform and forex app, and that’s usually referred to as a proprietary forex app. 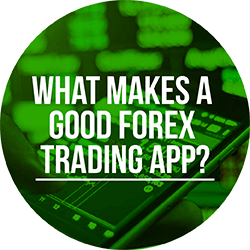 Over the last couple of years, the mobile trading industry has gone through some major updates, and today most of the top forex apps offer amazing forex trading apps. Another popular solution for certain apps is to offer a combination of their own trading software as well as the MetaTrader 4. You can read more about all types of trading apps further down on this page. 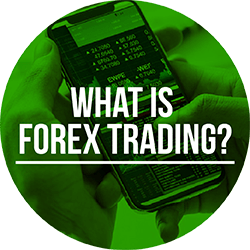 We’re going to assume that you have an interest in forex trading since you’ve ended up on this page, and if you’re only looking for the best forex trading apps, you can continue to the next section of this page. However, if you’re new in the world of currency trading, we advise you to learn a bit more about forex trading and the market first. Because of that, we’ll offer you a quick summary before we get started with recommending forex trading apps. Forex trading is a form of trading where a trader buys and sells currency pairs on the foreign exchange market which is by far the largest financial market in the world. In fact, the international foreign exchange market has a daily turnover of many billions of dollars, dwarfing all other markets by large margins. Since currencies and their relationships to each other is something that affects us all in our daily lives, the forex market is a market that most can relate to and that many have an interest in. Therefore, it’s also one of the most popular markets for private traders. For example, in the UK most forex traders are interested in trading the GBP with other major currencies such as the USD and the EUR. That being said, the forex market can be a complicated one, and you need to make sure that you truly understand it before you start trading on a forex app. If you want to learn more about the market, we suggest you check out our comprehensive forex trading guides. What Makes a Good Forex Trading App? Before we get started with our recommendations, we wanted to provide insight into how our evaluation process works and why these apps can be considered the best apps. Naturally, what software you like is a very personal choice and what works really well for us might not work as well for the next person. Although, there are a few aspects that we all can agree on that are necessary for the best mobile software. For example, a forex trading app in the UK needs to be state of the art and available on at least all new Android and iOS devices, but preferably also on Windows phones. It shouldn’t matter if you like to trade on an iPhone or an Android tablet. Also, the app needs to be easy to use and have all the tools we need to trade on the go including deposits and withdrawals. But besides the obvious, there are more specific features that set the average trading app apart from the best forex trading apps. In our opinion, the best UK trading apps are available to use with demo accounts, they have unique features that other apps don’t provide, they are aimed towards the British market, and they need to be able to handle large trading volumes so even the most active day trader can enjoy them. If there is anything special about any of the apps we’re about to recommend, we’ve pointed it out. Otherwise, we’ve focused our attention on summarizing what makes each and every trading app so good. We would never recommend a trading app that we haven’t tried ourselves and that we wouldn’t feel comfortable using on a daily basis. But even though our personal opinion is very important in our reviewing process, there is one factor that we consider more important than every other requirement, and that is safety! In order for us to even consider recommending an app or service to our readers, the forex app and the company that owns the apps have to be licensed and regulated. In other words, the first thing we do before we even get started with our reviewing process is to double check that the app has the licenses needed to operate in the jurisdictions they’re targeting. We double check this by looking for their license number on the forex trading apps website before we double check that information with the regulatory body connected to the app. When it comes to forex trading apps UK, the FCA is the main body that is responsible for the regulation of forex apps, but a license from CySEC in Cyprus is also more than enough. However, most of the apps we recommend have a range of licenses and approvals from most of Europe’s leading regulatory bodies including those in France, Sweden, Germany, Italy, and so forth. 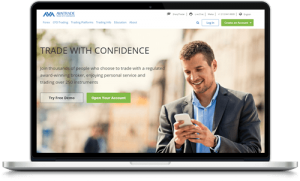 Are the Best Forex Trading Apps UK Safe? Yes, all the forex trading apps recommended on this page are 100% safe. We know this because they have been licensed and authorized, and they are regulated by some of the leading financial agencies in the world. Moreover, we have studied these apps closely, read reviews and checked the opinions of customers on the mobile software to ensure that everyone is happy with the tools. We only recommend the best of the best on this site, and the forex trading apps on this page is not an exception. As you can imagine, it is within our best interest to only provide you with recommendations for trading platforms that you will thrive while using. Therefore, every forex trading app or other trading services we recommend will provide you with a safe trading environment. That being said, the best way to protect yourself from unnecessary losses is to open a demo trading account with any of the listed forex trading apps. A demo account will offer you the necessary practice and experience that will make you a better trader. 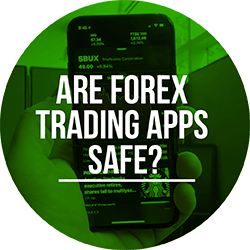 We’ve already talked about the importance of only using safe forex trading apps in the UK and making sure that the forex app you pick is regulated, transparent, and trustworthy. However, that is actually only half of the safety aspect of trading forex on an app. You see, even with the safest and best trading software, you always run the risk of losing money. It’s a natural part of trading and something you have to accept, although it doesn’t mean you should expose yourself to unnecessary risks. Instead, there are several safety precautions you can take to ensure that you stay relatively safe on the forex market. Educate Yourself – The best risk management when trading forex or any other type of asset is education. By ensuring that you understand the market and the currencies you’re trading, you will prepare yourself and improve your chances of succeeding. Don’t be Spontaneous – This is one of the hardest things to master when trading. It is important that you never open a position based on a feeling or a guess. Instead, you need to plan and analyze every opportunity and only trade when you are convinced that you think you know what’s going to happen. Never Chase Loses – We’ve mentioned this before but it’s still an important lesson to learn. Everyone makes bad trades and loses money at times, it’s a part of trading. However, when it happens you need to keep your head cool and not let your emotions get the best of you. Chasing losses is a recipe for disaster and a great way of worsening an already bad situation. Learn Money Management – You must learn how to handle and manage your money and assets in a smart and frugal way. For example, always set a budget and stick to it, never invest money you can’t afford to lose, and never spend money intended for something else on trading. Use a Demo Account – A good way of putting all of these lessons in to play is by opening a risk-free demo account. With this account, you can practice your skills and newly found knowledge, you can learn how to analyze the market, you will get used to losing money and the negative feelings surrounding that, and you will get a better idea of how to handle a trading account full of money. Some people might even argue that a demo account is essential for anyone using forex trading apps and, in our opinion, it’s a tool that shouldn’t be overlooked. However, not everyone is interested in trading forex or trading on apps for that matter which is why we have done our diligence and reviewed other trading apps based on other criteria as well. You can read more about these recommendations below. Looking for something else than forex trading apps? Maybe you want the option of trading different securities from a range of asset classes. If that is the case, we advise you to check out our list of the best trading apps. In that guide, we’ve listed the best mobile trading software for forex, stocks, CFDs, ETFs, the best crypto brokers, and so much more. 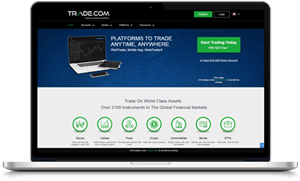 Consider it your go-to guide for the best mobile trading platforms in the world. As we just mentioned, not everyone wants to trade forex on apps. In fact, most traders still prefer the option of trading on a desktop or web-based platform. Obviously, some of the apps listed above also offer world-leading desktop platforms, but other forex trading apps might provide something even better. Therefore, we have created a detailed guide to the best forex trading platforms for everyone. As an addition to that list, you can also check out the best forex trading platforms in the UK. Are these apps safe to use or do you risk losing a lot of money? Tried downloading the avatrade app but it’s not working very well.. however the markets.com app is working better. Maybe you can remove the avatrade app? I can’t finish the registration.